Hello! 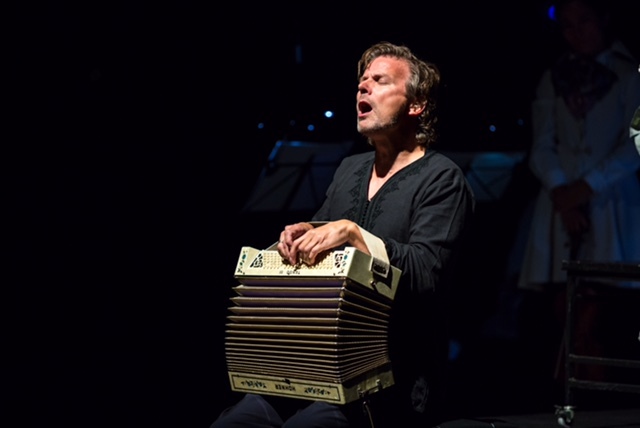 I'm playing in Basel in a swiss-latvian production and I would like to invite the Urban Sketchers to draw during the shows. 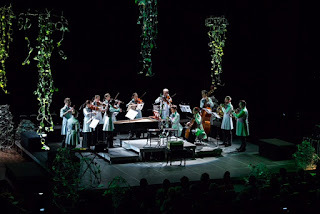 It's a mix of baroque (Ensemble Kesselberg), modern (Christian Zehnder of Stimmhorn) and electro music (by myself), with tango dance (Lio Wirz and Lia Jeker), lights and costumes. 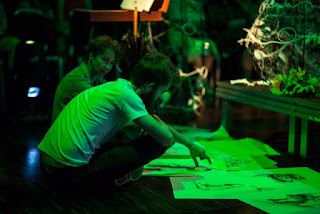 We played twice in Latvia and there was a woman sketching us on stage. She won't be there in Basel, but it gave me the idea to invite you, just for the pleasure (no worries, there is no need to sit on the stage!). If you're interested to come and sketch, send me a short e-mail (vincentxo@hotmail.com) and I'll let a free ticket for you at the entrance. Thank you for the invitation Vincent. Cool idea. I'm not sure if I can attend, but I'll try and will let you know by Email if I can arrange it.